Alex Yang’s life changed dramatically this summer. While visiting family in Minnesota, his father almost died from alcohol poisoning. Now Yang is working to end substance abuse in his community by serving on the Youth Council for Safe & Sound’s 27th Street West Drug Free Coalition. The 16-year-old Oak Creek High School student helped organize the coalition’s Above the Influence Safe Night at the Hmong American Friendship Association, 3824 W. Vilet St., with other youth council members. Yang performed an original poetry piece at the night’s talent show competition, which also drew dancers and singers. 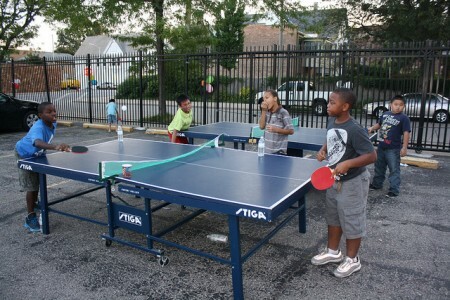 There also was an outdoor screening of “Madagascar 3,” a bean bag toss, pool, ping pong, face painting and a free cookout. Attendees also decorated and displayed Above the Influence logos at the event, which also showcased a paper-maché sculpture created by the youth. The sculpture, which is of a human body with two heads, represents the choice kids have between using drugs or abstaining from drugs. “Drugs are negative fuels that drive their communities downwards,” said Phoua Vang, Safe & Sound drug free communities organizer. “Music is what inspires them. Physical activity drives them. Shania Sprewer, 17, competed as a dancer in the talent competition. It was her first time at the Friendship Association. “I heard it was going to be fun and it was,” she said of the event. “[Substance abuse] can steal away from things that are important to focus on like schools and goals,” she added. Elena Burke, Safe & Sound drug free communities manager, said the coalition focuses on marijuana and alcohol use. Naobee Lor, youth coordinator for the Friendship Association, has seen those drugs affecting his neighborhood. He said the association works to educate all community members about drug and alcohol abuse. Since there is not a lot of free family programming in the area, Vang said the goal of the night was to bring the community together for a night of safe, free fun while getting the coalition’s work in the open. The council meets to talk about socioeconomic issues, civic engagement and youth leadership. 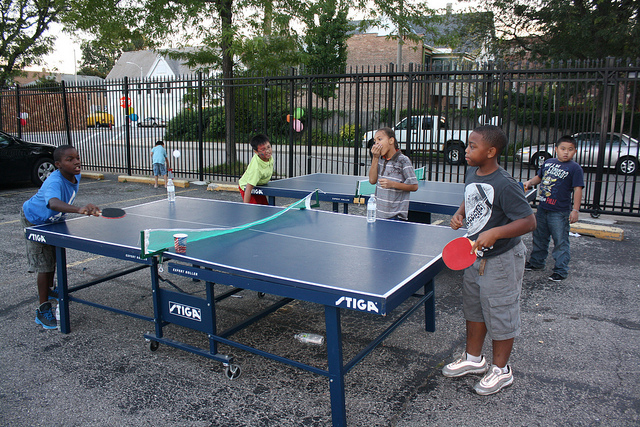 The members go into the Washington Park, Walnut Hill and Concordia neighborhoods and collect ideas over the course of the year to promote alcohol and drug prevention. According to Vang, the 27th Street West coalition largely works with Hmong and Burmese youth, many of whom are first-generation Americans, but the event drew a diverse crowd, including Westside Academy, 1945 N 31st St., students. Youth from outside the council also helped plan the event. “A sense of diversity is very important. 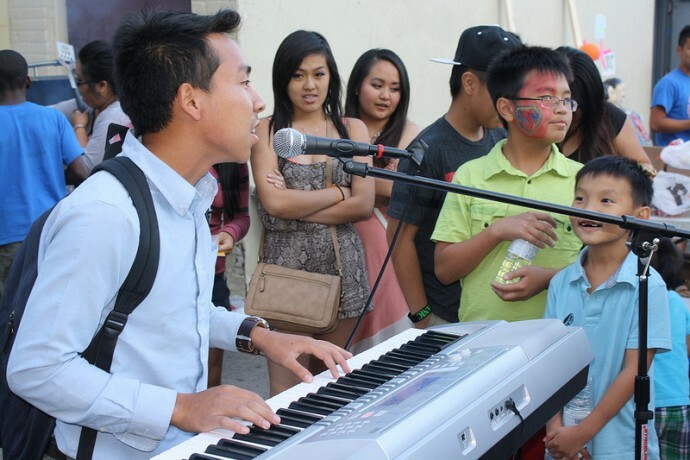 It allows kids to see beyond their cultures,” Vang said. Burke hopes the Safe Night showcased the positive impact of youth leadership can have on the community.